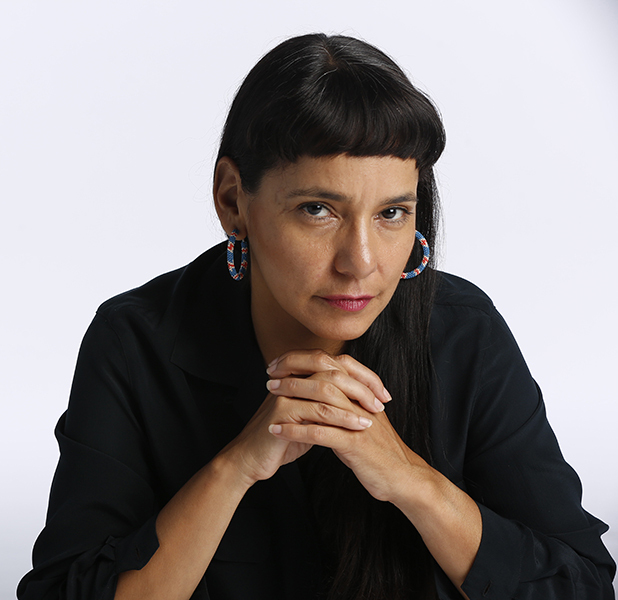 “We have a vibrant performing arts scene here in the Twin Cities that is deserving of a Native performing arts center that cultivates the next generation of performing artists,” she said. Leslie Parker and Zoë Klein mid-action. Photograph by Kelechi Uchegbu. Dancer Leslie Parker during a dress rehearsal for “Weave,” Saturday, Jan. 5, 2019, at O’Shaughnessy Auditorium at St. Catherine University in St. Paul. “Performer Valerie Oliveiro described the experience as "a situation where you walk in with whatever your expectations are for watching a performance, and that really quickly slides away as you're very gently placed in a space where you are not in your usual rhythm, or your usual time or your usual situation, but you're still comfortable." Twin Cities choreographer Rosy Simas explores the interconnectivity not just between people — but also in the natural world, right down to the cellular level. This Ordway co-commission was born of workshops and rehearsals conducted in various U.S. cities, with the entire process open to public observation, feedback and questions. It came “from a place of deep listening,” as “Weave” writer Heid E. Erdrich put it. Woven with movement, sound, projections and text by an international cast of collaborators, “Weave” is sure to be an abstract but visceral experience.